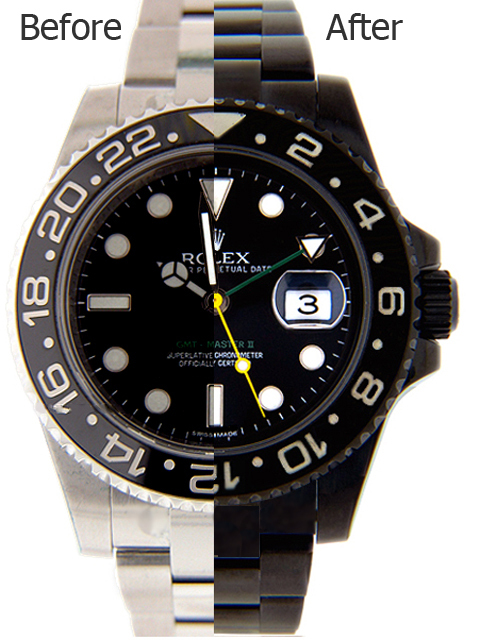 Any watch can receive the Black Coating DLC/PVD if its metal pieces like the case, bracelet, bezel and clasp are made of either Stainless Steel or Titanium. Once the checkout is complete we will receive the request. If your watch is eligible for the Black Coating DLC/PVD process, an e-mail with the shipping label to Messina Jewelers' store will be sent to you.